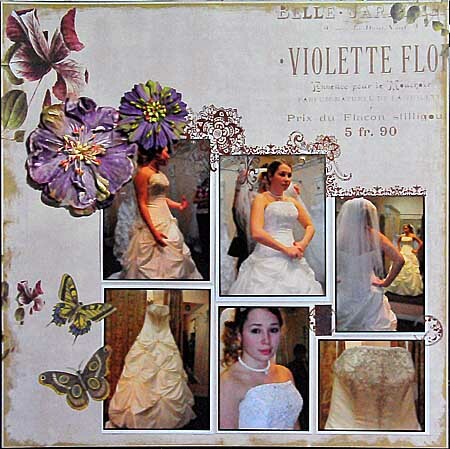 Paper Webster’s Pages Nature’s storybook: violette wings. Another awesome PageMaps sketch by Becky Fleck!!! Here is my take on it, using Bo Bunny Mama-Razzi Aperture and Stripe, Prima Flowers, Bo Bunny rub-ons. Thanks Becky for another awesome sketch!!!! 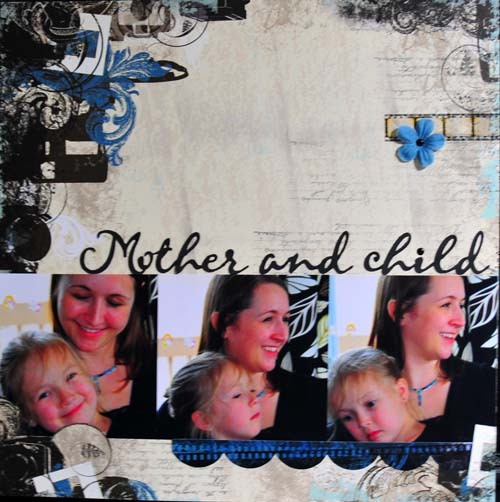 Here is Mary in a layout using Fancy Pants Whimsical paper and rub-ons. It was put together quickly for a contest at Scrapfest in Kitchener April 17, 2010. I am in the process of re-doing a few layouts of Chris’ grade 8 graduation. 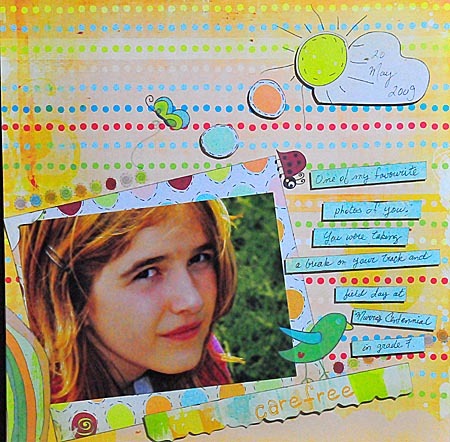 I did them early on when I first began to scrapbook. The quality, well, isn’t there. 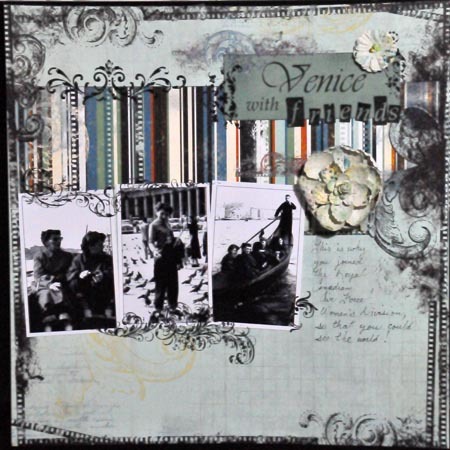 This layout is from Basic Grey’s Kit of the Month for March 2010. This is the first layout of the series. This year I am at Sweet Sentiments in Belleville on a Friday night once a month. I modified the layout somewhat, wasn’t too keen on this month’s design by the company. What a blast! Went with Lee, Colleen H., and met a new friend Terri. 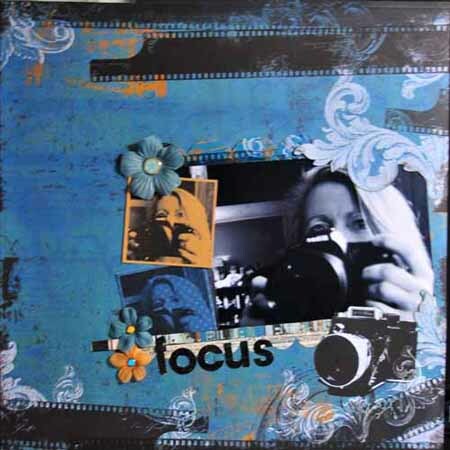 Attended classes by Lara Brooks (Canadian Scrapbooker Magazine), Kelly Pannacci (her own line of scrapbooking products) and Sue Sykes (Canadian Scrapbooker Magazine). These photos were taken at the end of March of this year of our daughter Nikki and granddaughter Brynn at Nikki’s place. 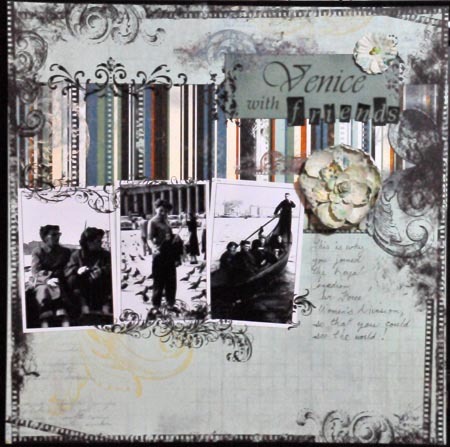 Layout was made of material from April Scraptivity kit. Bo-Bunny Mama-Razzi Shutter, lettering cut on Cricut, scalloped border Bo Bunny Mama-Razzi Combo Stickers. Well, here is one of my favourite subjects – PHOTOGRAPHY! All supplies from the April 2010 Scraptivity kit. 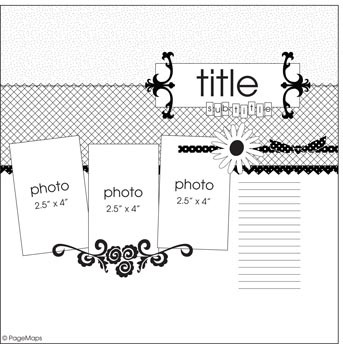 Bo-Bunny Mama-Razzi, lettering Bo Bunny Mama-Razzi Combo Stickers, scalloped border Bo Bunny Mama-Razzi Combo Stickers. I printed two of my photos on the card stock from the April 2010 kit.